On-the-spot paper medical sensors are already used for a few applications such as pregnancy tests, but there is so much more that can be done with these low-cost tests. 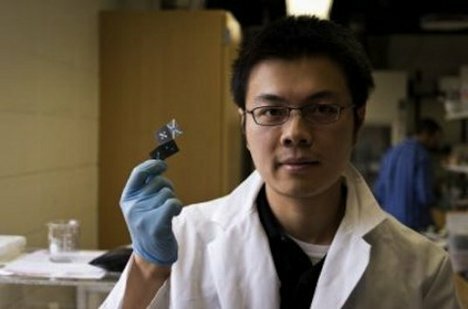 A team of chemists at the University of Texas at Austin has made significant strides in this field by developing a 3D paper sensor that can detect HIV and Malaria in seconds and for the cost of around 10 cents. The news is important because in remote locations and in countries without advanced medical facilities, traditional tests for these ailments may be too expensive – or the facilities to transfer blood samples and test results may simply not exist. 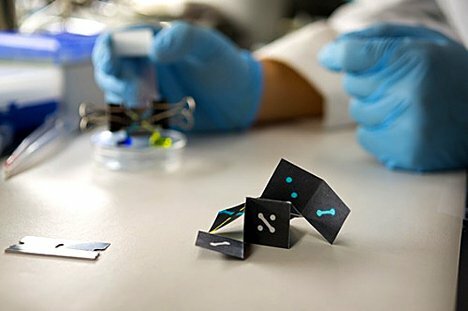 Besides using hydrophobic material such as wax to create tiny channels on the surface of the paper sensors, the chemists embedded specific reactive agents in the paper. The paper sensors are folded up and a biological sample introduced. The channels direct the biological sample – blood, urine or saliva – to the reactive agents, which indicate if the sample contains the biological markers for a specific disease. When the sensor is unfolded it can be read by eye with no special equipment needed. The sensors don’t need to be made or folded in high-tech facilities, so the production could be handled in the very developing nations that would most benefit from using them.